Smooth skin isn’t just for women. More and more, men are starting to take note of the benefits of having smoother skin, which include increased cleanliness and better-looking muscles. 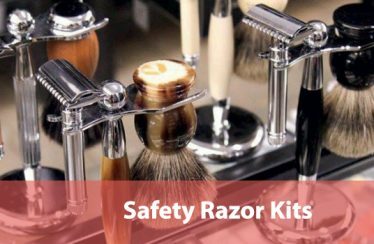 Shaving can eliminate body hair temporarily, for a more long-term solution you’ll want to epilate. To do this, you’ll need an epilator, which is a type of hair removal product that targets the roots of your hairs. By doing this, you’ll extend the time period during which your skin is totally smooth. It’s similar to waxing, but instead of spending tons of cash at a salon, you can buy an epilator to use at home. 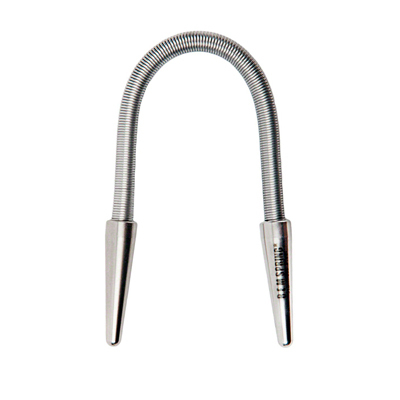 Manual, Small, Stainless Steel, very affordable. Many attachments, Easy on the skin. Versatile, Portable, Easy to Use, cordless, miniature design is ideal for travel. We’ve done the research to find you the best epilators so that you don’t have to. In our guide, we’ll discuss what makes a good epilator for a man and look at several excellent models. Let’s dig into a quick overview chart to begin. Before we get into the actual specifics of certain epilators, there are a few things you should know about what to look for in an ideal model. These can affect your epilating experience and you might prefer some models to others depending on your skin sensitivity. Method of Epilation: There are essentially two types of epilation: use spring or coiled teeth that pull hair up from the roots or IPL tech, which focuses light pulses into your pores and follicles to burn away your hair beneath the skin. Teeth-based epilators are sometimes painful, especially if you perform the procedure on dry skin. However, this method is generally fast and is much cheaper than the alternative. Epilation done this way will last for a few weeks to a couple of months. IPL methods aren’t as initially painful, although if you use a setting that’s too intense for your skin you might cause burns. Skin care cream might be required afterward. In addition, IPL methods require you to shave and prepare your skin beforehand. Their results often last longer than coil teeth epilation. No matter the method that you use, never try to apply an epilator to long, surface-level hairs. Shaving beforehand is a must since epilators are only designed to target hair that exists beneath the skin. These roots can be pulled up or burned away, but surface hairs being yanked out of your skin will hurt quite a lot. Wet/Dry: Some epilators can only work on dry skin or aren’t waterproof. However, epilating on wet skin is known to have alleviating effects on those who find epilation painful. If you have sensitive skin, you should consider trying to find a model that can perform on both wet or dry skin. All of the IPL epilators are dry by default since they utilize a different method of epilation than traditional, teeth-based products. However, even these models can benefit from the advantages of recently-heated skin. If you use any kind of epilator, even dry-only ones, you should shower or bathe beforehand. Charging or Manual: Some epilators use different kinds of chargers that can limit their use. For instance, IPL epilators need to be plugged in the whole time, making them poor choices if you want to take your epilator with you on the move. On the other hand, there are cordless models that charge via an adaptor and which can go with you so long as you take their charger along with them. Manual epilators don’t require any charging at all and can be taken at your convenience. Area: If you’re targeting small areas of your body, you don’t need to waste money on a big epilator that’s designed to wipe out huge swaths of hair. It’s important that you pick the right tool for your job. Many epilators come with different settings so you can control their speed or area of effect. Consider the actual work that you want done before you make your final decision. This is a premium epilator that can do amazing things if you’ve got lighter skin tones. It uses more than just springs and coils to take hair from your skin. Instead, it utilizes Intense Pulse Light (IPL) from a lamp embedded into the head of its chassis to prepare your skin for ultimate treatment. This light effectively burns out your hair from your pores, resulting in a long-lasting, deep-penetrating treatment that prevents hair from growing back for months. While using the lamp, be sure to utilize the glasses that are included with your purchase. These will protect your eyes from the high intensity of the light while it’s in use. The epilator can be plugged into a US adaptor, so traveling internationally will require a different epilator solution. This is a bit unfortunate given the high price point it demands. It also doesn’t work with darker skin tones. The treatment is so intense that you’ll find that your hair is visibly thinner when it finally returns. After the first treatment, you’ll need to apply the IPL once again around every two months to perform maintenance on your skin. A skin care gel is recommended to soothe your skin after each time you use the IPL. Overall, the IPL epilator is a fantastic, long-lasting device that’s very worthwhile when you consider how long it will last and how long it keeps your skin hairless for. It’s pricey but makes up for the cost with its amazing light-based technology and fantastic results. This lightweight epilator is a great bargain for anyone who needs to take several tools at once. The Angelland 4-in-1 comes with 4 different heads to attach to the primary tool body: an epilator, a shaver, a callus remover, and a shaver. Men generally love to have versatile tools, especially when it comes to body care. The epilator uses traditional spring teeth to pull hairs out from the root. 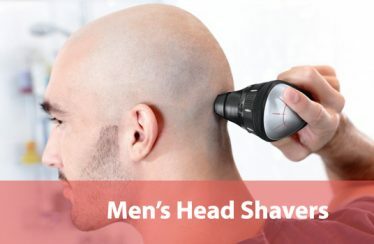 The shaver and razor are dependable models that aren’t amazing but are great additions for a portable tool that can take care of any hair needs wherever you go. The entire kit is very small and easy to pack into a bag, and the universal adaptor ensures that you can charge it wherever you go. LED lights on the head keep tracking your movements or lines easy and the grips are comfortable and ergonomic. There are two different speed settings that you can take advantage of depending on your skin’s sensitivity, which we really like. The callus remover isn’t too rough on the feet, too. This is a great bonus in particular because men tend to have large callouses on their feet and hands! Even though the color is a bit feminine, we can recommend this epilator to any man simply due to its functionality. It’s affordable, easy to use and carry, and can have all of your hair needs packed into one product. What’s not to like? This is a more affordable variant of the initial IPL offering at the top of our list. 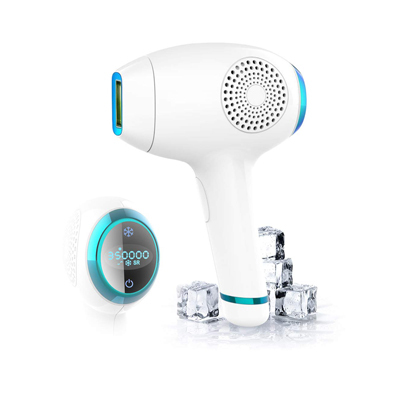 But it has another tool that the former model lacked: a cooling mechanism that keeps your skin cold and firm to prevent damage as the light pulses work their magic. This will reduce the discomfort you might feel after a treatment and can prevent you from having to apply a skin care cream afterward. For this reason, we rate it a little higher than the initial IPL epilator. It has a large lamp window and doesn’t need to be powered by batteries, instead relying on a US outlet and should be kept plugged in when in use. 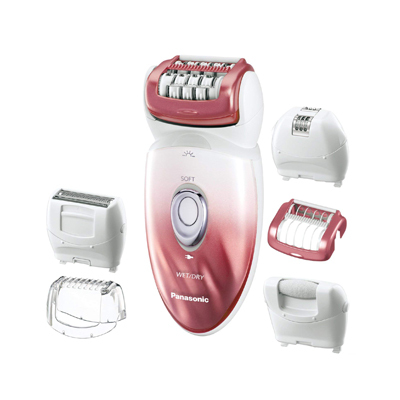 This epilator also offers two unique modes for larger or smaller areas. Use the Glide setting to move quickly over large areas of skin where the hairs aren’t so thick or the Stamp setting if you want to target a patch of skin that tends to grow rough, tangled hair over time. We appreciate this function since not all body hair comes out the same and might require different actions. 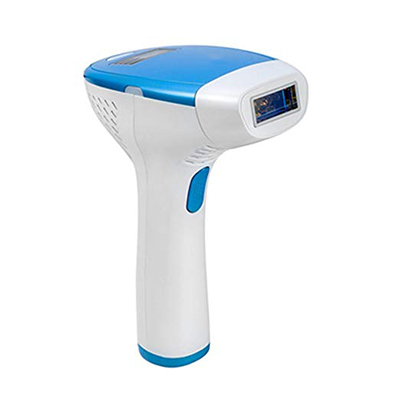 The Cold Compress IPL Epilator is a great pick if you enjoy the intensity and long results of IPL treatment but have more sensitive skin that can make this kind of activity painful or uncomfortable. The fact that it’s cheaper is another point in its favor, too. 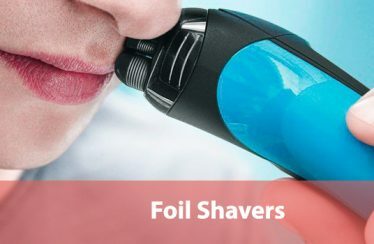 If you’re more interested in taking out your facial hair or just have a few tiny areas that keep getting your attention, consider this spring facial hair remover. It’s used with your hands, negating any need for power or batteries or an outlet. You simply twist it up the skin that you wish to epilate and watch the results! Since it’s manual, you can use this on either wet or dry skin if you prefer. It’s ideal for targeting the hair on your face due to its small surface area and slow progress. Because of this, we don’t recommend it if you’re looking to epilate wide swaths of your body. 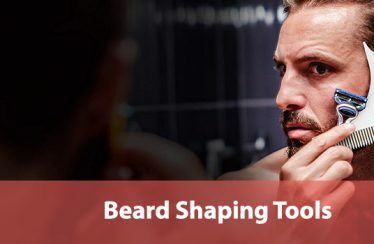 But many men tend to keep a lot of their body hair, so we think this is a great pick for many adult males you are grooming with precision and only occasionally. The epilator is made with stainless steel, which is a hypoallergenic material that makes it ideal if you have skin that’s allergic to materials like nickel. Sensitive skin will be taken care of with this epilator, which is the most comfortable out of all the devices on our list. This is a great budget pick for men who epilate occasionally or are only going after the skin on their face. Since it’s so small, you can easily keep it in a toiletry bag or something similar, as well. 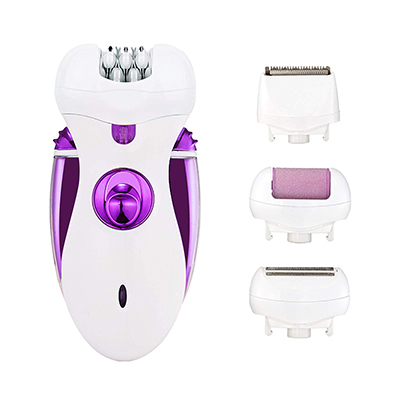 This multi-use epilator comes with 6 different attachments, which is another example of the versatility that many men value with their hygienic products. It comes with an epilator head, a shaver head, a pop-up trimmer, an electric razor, and a few others that are more feminine focused. However, the epilator head is the real star; it’s designed to follow your body’s contours as you use it, making each epilating sessions as comfortable and easy as possible. 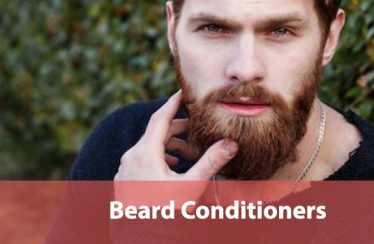 To further comfort, it’s cordless and can be used in either wet or dry conditions. Its charge to run time ratio is quite good too. You get about 30 minutes of run time for an hour of charging. The button for managing all of this is located right in the center and the handle is ergonomic and comfortable. In addition to the 6 heads, the Panasonic comes with a travel bag for easy carrying with its adaptor. The biggest downside is that some of these heads won’t be used by men. However, given all of the other advantages and the excellent epilator service it provides, it’s not too much of a drawback. Each of the blades for each of the heads are all hypoallergenic, too. This epilator brings a lot of value to your bathroom due to it’s various heads, it’s travel bag, and it’s charge time all for a reasonable asking price. 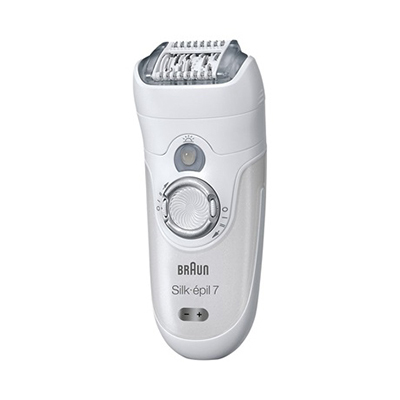 Another many-in-one product, the Braun Silk Epilator is designed to target sensitive skin first and foremost. This is important since its epilator head teeth are especially adept at pulling out hairs that are smaller and thinner than many other commercial epilators. This device can target some of the thinnest hairs you can imagine and get them out for months to come. With this might come pain, but the Braun’s teeth are constructed to make the process gentle and smooth. Use in a wet environment is recommended to take full advantage of this effect. It’s cordless and has an even better charge ratio than the Panasonic: 1 hour of charging yields 40 minutes of use. It only has one setting, but it’s supposed to be used slowly and carefully along your body’s various junctures and curves. Going slowly also helps with reducing pain and discomfort during the process. This one also comes with a number of attachments and extra heads, but they’re for traditionally feminine procedures that won’t see a lot of use with men. Still, the value and exceptional attention to sensitivity from this epilator warrants a place on this list. We recommend this epilator if sensitivity is your number one priority. Finally, the MADAMI IPL Epilator is another great example of the IPL treatment products. This one utilizes more flashes than its competitors and thus has less of a chance to harm the skin during treatment, although you’ll still need to use protective goggles as you work. There are two modes, Flash and Slide. The Flash mode is great for smaller areas of skin, while the Slide mode is adept at getting hair out of wider areas such as the leg or arm. 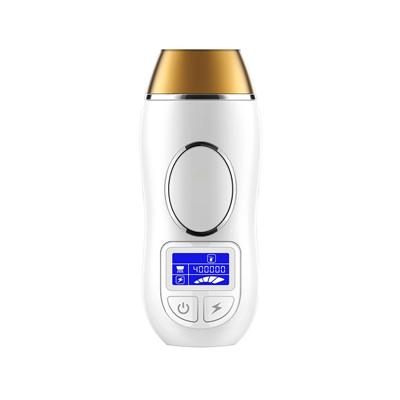 The epilator has five different intensity settings, which are demonstrated on an LCD screen that sits at the device’s handle. It uses an aluminum spot area to minimize light leakage and intensity its IPL treatment. This helps to increase the length of time between treatments, leaving you hairless for longer. Although it’s as expensive as other IPL epilators, this is the best example of the three on our list due to its approach to sensitive skin and its easy, ergonomic handle. If you enjoy the IPL method and prefer it to all the others, we recommend this model. Now that you’ve got your ideal epilator, here are some great tips and tricks to make the whole process easier and more comfortable. In no time at all, you’ll be sculpting your body hair just the way you like it. Epilate After a Shower: Even if you don’t have a wet/dry epilator, you can always take a hot shower beforehand and make your pores open up to better allow the hair to be pulled free. The same principle from shaving applies; open pores make removing hair easier. This will also make your skin less sensitive than if it’s cold and dry, so everyone should make use of this tip. Pull Your Skin: While you’re epilating, you should pull your skin so that it’s taut as the teeth or the IPL window is moving across the target area. This stretches your skin and makes the hair within stand out, making it easier to grab and yank free or burn down to its root, respectively. This is especially true when it comes to corners or areas where skin tends to crinkle, such as the armpit. You have to get into every crevice or you’ll find little hairs remain behind even after several sessions. Exfoliate: Using an exfoliating brush to clear away dead skin can help your epilator do its work more efficiently. Dead skin can get in the way and even fog up your IPL window, so having clean skin that doesn’t flake is essential. Plus, everyone finds flaky skin disgusting. Shave Beforehand: Make sure that surface hair is nowhere to be found before you epilate. The longer hairs can interfere and extend the length of your epilator’s work, and pulling hairs this way is very painful! Always get as smooth as you can before epilating. Remember, these products are only supposed to target the hidden roots of hair. Use a Numbing Cream: If you have sensitive skin, consider adding a numbing cream before you epilate. This will greatly enhance your experience and will let you finish all of the areas you have in mind before you have to call it quits. It can also allow you to epilate areas that would otherwise be too sensitive to operate on, such as the face or groin. We hope that this guide has helped find you the right epilator for your body. These amazing tools shouldn’t only be the domain of women. Sometimes men like to direct their body hair too, and smooth skin is something everyone should be able to enjoy. Ignore the feminine colors and the attachments you don’t need. Just epilate and enjoy your new, smooth skin!